This is only a guide to treatments. A full estimate will be given at initial consultation if requested. 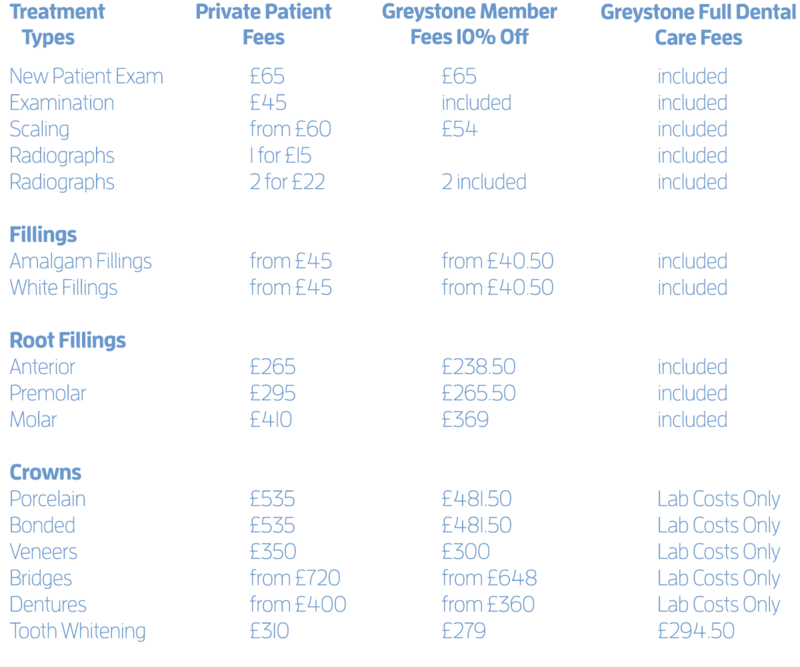 We now offer Greystone Membership Plan and a Greystone Full Care Plan. Please ask at Reception for details.